Ian Martin spent three years working as a hospital orderly and in that time he kept a ward diary, chronicling the sights, sounds and smells that assailed him. 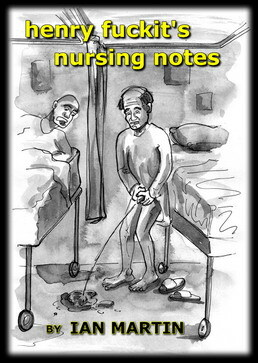 Based on this record, "Henry Fuckit's Nursing Notes"is an unflinching account of what it's like to nurse the sick and the dying. Looking through the eyes of his disreputable hero, Martin uses a brutal blend of cynicism and dark humour to describe a world of suffering and pathos.